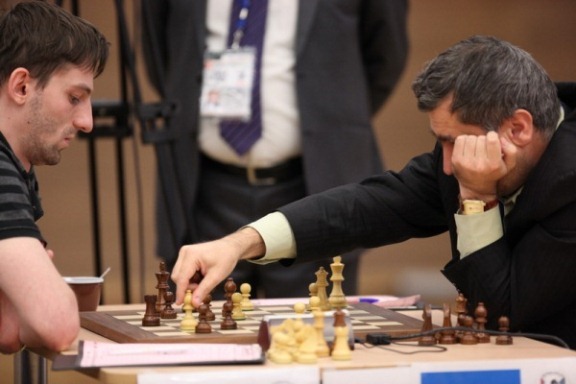 Svidler’s opponent in the final will be decided in tiebreaks tomorrow, after Vassily Ivanchuk and Alexander Grischuk emerged from a time-trouble scramble with a drawn position. 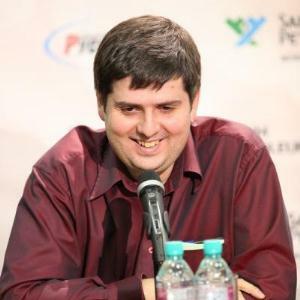 Peter Svidler had a slow start in Khanty Mansiysk, needing tiebreaks in rounds 2 and 3 against Nguyen and Fabiano Caruana, but since then he’s been on a roll. 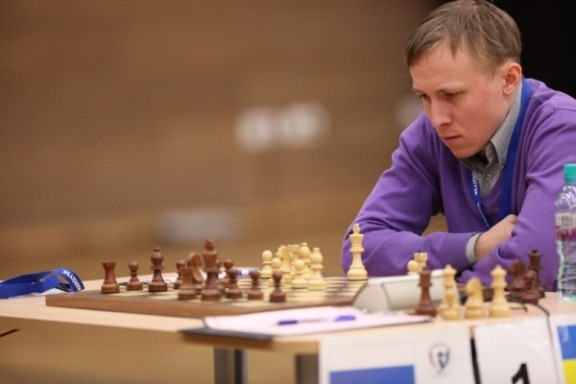 He won both games against Gata Kamsky, and has now won with the black pieces against both Judit Polgar and Ruslan Ponomariov. 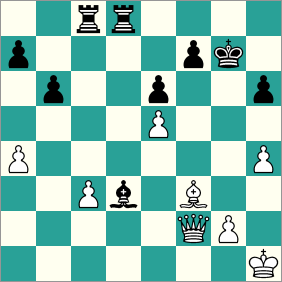 Ponomariov played 13.Rb1, allowing the surprising 13…0-0-0!, which could have been prevented by 13.Rc1. After the move in the game Black was close to solving his problems and had the prospect of pushing his queenside pawns.That became a reality after 14…f5! initiated a totally sound exchange sacrifice. 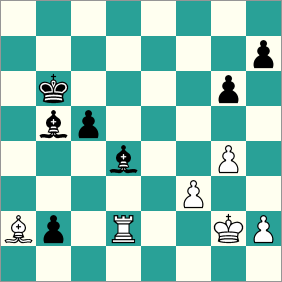 On move 18 Ponomariov offered a draw but Svidler was risking nothing and understandably wanted to play on. 37.f4? 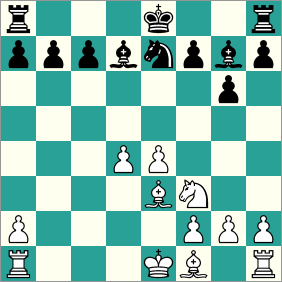 allowed Black’s bishop to switch to e4, when nothing could be done to stop the pawns. 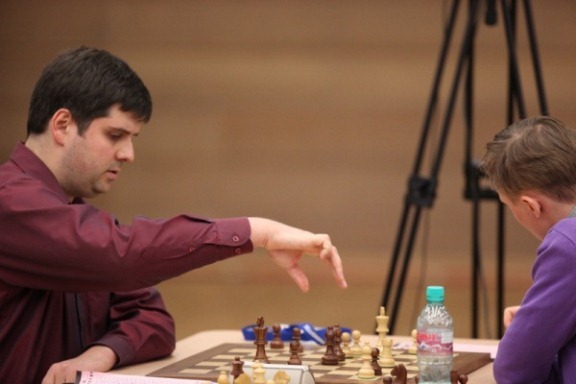 Svidler’s convincing win already guarantees him a place in the next Candidates Tournament, and grants him an unheard of luxury for the World Cup – two rest days before the final! 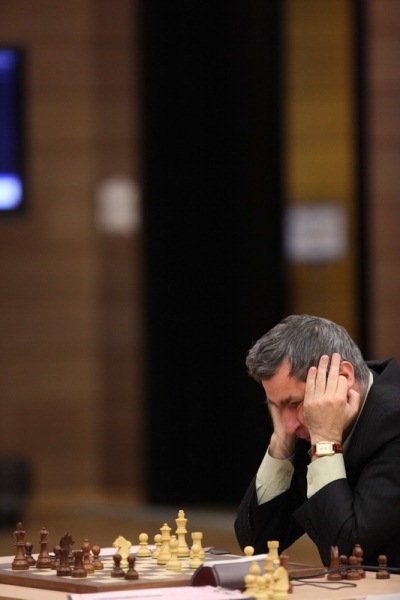 Add in the fact that Grischuk only had a minute left to make the time control… and Maria Fominykh had predicted that if Svidler won then Ivanchuk would as well, and things were looking grim for the Russian grandmaster. It’s hard to disagree with Ivanchuk’s comment afterwards that what happened next needs to be analysed, as it’s impossible to say at a glance if he missed a win. Grischuk himself was worried by 32.g4, though it’s not obviously winning. In any case, when the smoke had cleared Black had an impenetrable fortress and a draw was soon agreed. Vassily Ivanchuk and Alexander Grischuk will now play tiebreaks, with the winner meeting Peter Svidler while the loser plays Ruslan Ponomariov in an equally critical match for a place in the Candidates Tournament (and third place at the World Cup). If that semifinal match goes to rapid chess then Grischuk will undoubtedly be the favourite due to his stronger nerves – the guy can play 50 moves with 10 seconds for each and he’s not bothered. If a chess player’s got such an option, plus he also plays as well as Grischuk does and he’s not inferior in the opening (and Grischuk’s not inferior to Ivanchuk in the opening), then he automatically becomes the favourite at the reduced time control. There aren’t many like him in the world just now. Grischuk is, you might say, a master of the format. We’ll find out how accurate that prediction is tomorrow!